I cut a bunch more hexies for the quilt in progress that I showed yesterday. I threw a bunch up on the design wall, but they aren’t mixed up enough. I pulled them down and put them in a basket to mix them up better. Then I’ll put them back up. I was asked how big these are. The finished length is just a bit over 5 inches. 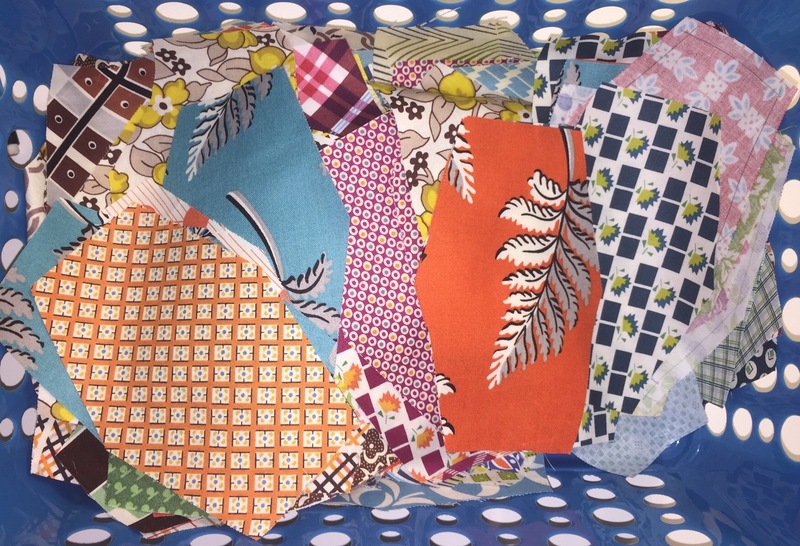 I love these fabrics and colors Katy! They look really vintage, which is what I usually try to achieve. Is that really the name of the blocks? I would rather call them elongated hexagons, though. Such a fun set of fabrics. It’s going to be a very pretty scrappy quilt. Looks pretty mixed up to me! Very nice scrappy look. 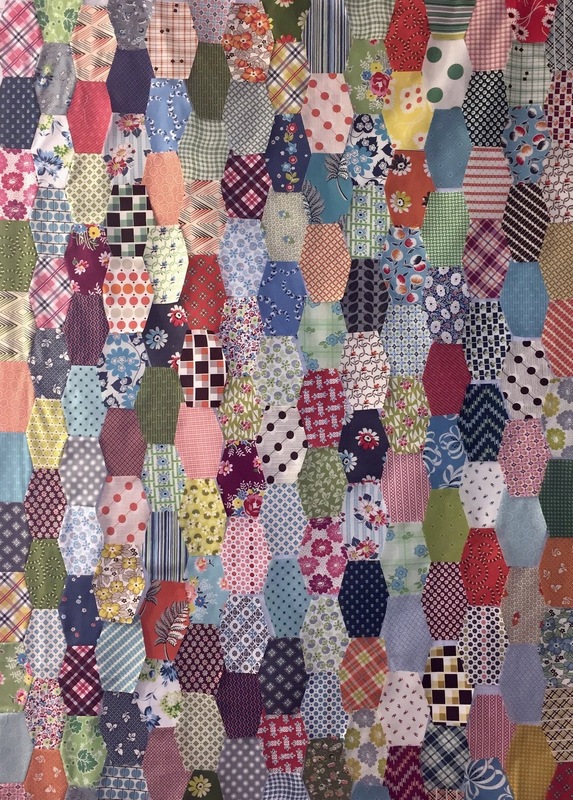 Absolutely love your quilt on your design wall. What a lot of work! Looks like all individually cut out and an amazing amount of “y” seams! Are you machine piecing these? That seems daunting to me. I love the scrappiness! It looks great so far, Katy. I really like the shapes. Great looking quilt…and the fabrics are so right for tradition. I love these pieces but the name cracks me up! Looks like a wonderful start on an interesting quilt. This is going to be a great quilt! What fun fabrics you have used. Did you use a die cutter to cut all of the hexies? I love the elongated hexagons.